In my last chapter I gave an example of how water is used in a tomato cannery. This time, let's look at the bigger picture how water relates to food production, worldwide. Brabeck-Letmathe goes on and states that: The inexcusable fact is that today the world is producing more than enough basic food to feed everybody. Mainly as a result of the high water requirements to produce our food, we are already withdrawing 20% more water than what is sustainably available (Defined as natural renewal minus needs for environmental flows in specific watersheds) – mostly at the expense of nature. By 2030, if there is no change in the way we manage water, withdrawals will exceed sustainable supply by more than 60%. In 30% of the main cereal-producing regions of the world, water withdrawals will be even twice as high as sustainable supply. The buffers we have - underground aquifers and lakes - are quickly drying up. The long and short of it is that within some 15 years a massive food production crisis with massive food shortfalls is highly probable. Water management is no longer an issue restricted to indi­vidual countries or river basins. Even a continental approach is not sufficient. The water footprint of Europe – the total volume of water used for producing all commodities con­sumed by European citizens – has been significantly externa­lized to other parts of the world. Europe is for example a large importer of sugar and cotton, two of the most thirsty crops. Coffee is imported from countries such as Colombia, soybean from Brazil, and rice from Thailand. European consumption strongly relies on water resources available outside Europe. How is Europe going to secure its future water supply? China and India are still largely water self­-sufficient, but with rising food demand and growing water scarcity within these two major developing countries, one will have to expect a larger demand for food imports and thus external water demand. Water is increasingly becoming a global resource. Although in many countries most of the food still originates from the country itself, substantial volumes of food and feed are internationally traded. As a result, all countries import and export water in virtual form, i.e. in the form of agricultural commodities. A good example closer to California is the export of almonds, mainly to China: From 2012 to 2013, China imported more than 94,428 tons of almonds from California, making it the largest export market destination for California almonds for the fourth year in a row, according to the Almond Board of California. Export volume of almonds from the US to China increased from 10,000 tons in 2002 to 100,000 tons in 2010, with shipments doubling in the past six years. As those of you in California are aware, the almond crop is growing exponentially, in leaps and bounds! More and more almond orchards are planted. California prides itself on the great crop and export, but has anyone looked at it from a “virtual water export” point of view as described by Professor Hoekstra? The virtual­ water concept was introduced by Tony Allan when he studied the possibility of importing virtual water (as opposed to real water) as a partial solution to problems of water scarcity in the Middle East. Allan elaborated the idea of using virtual ­water import (coming along with food imports) as a tool to release the pressure on scarcely available domestic water resources. Virtual­ water import thus becomes an alternative water source, alongside endogenous water sources. The water footprint of a product (a commodity, good or service) is the volume of fresh water used to produce the product, measured at the place where the product was actually produced. It refers to the sum of the water used in the various steps of the production chain. 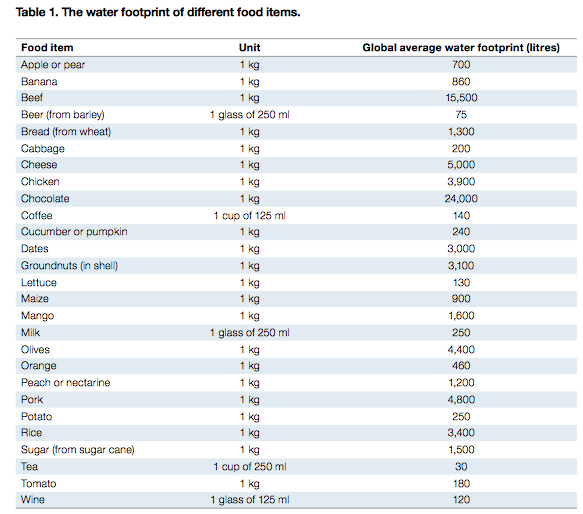 The ’water footprint’ of a product is the same as what at other times is called its ’virtual water content’. 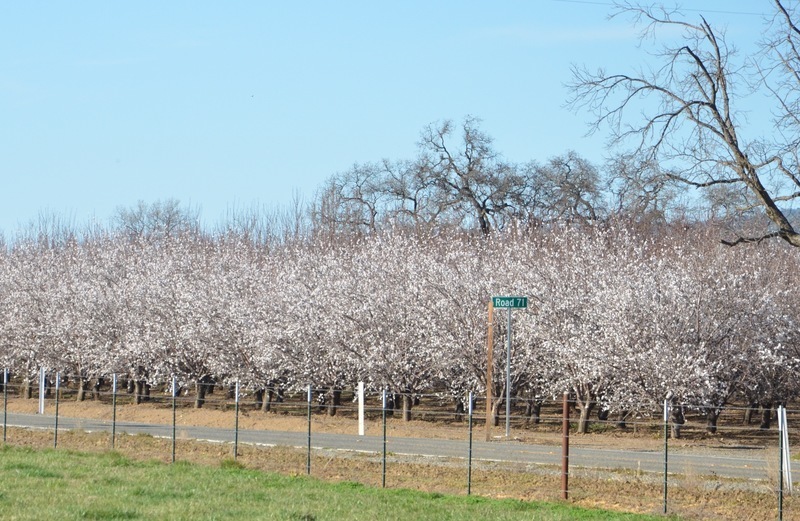 So, with California’s drought situation, should almond orchards be increased to supply China and India? Excellent article. One solution might be social reprogramming foodstuff demand and production by taxing higher water use ratios. The revenue should be set aside for reservoir development and aquifer replenishment. Growth in lower use product should replace losses from extant crops to be replaced when costs reduce their desirability. It gives financial incentive to growers and domestic users alike to find the best use for the resource without denying fair use of private property or unfair (for the largest segment) abuse of natural resources.